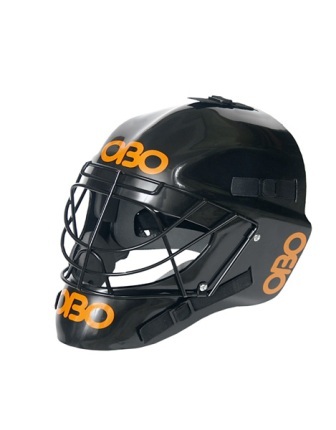 Virtually unbreakable plastic with cat-eye steel mask for maximum visibility. Comes with fleece carrying bag. 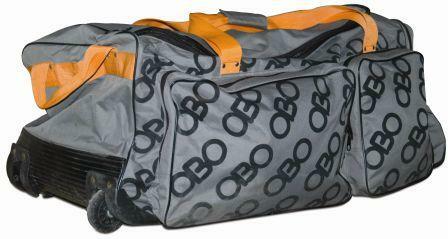 Made from durable, lightweight plastic. cat-eye steel mask provides maximum visibility in all directions. 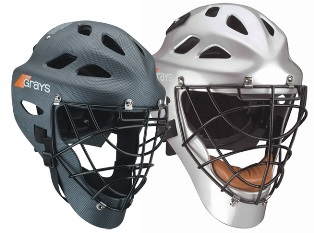 Angular shaping on the top of the helmet provides strength and helps with ball deflection. Closed cell foam liner offers comfort and added protection. Features injection molded shell and high density molded foam lining. High visibility mask and fully adjustable chin strap. 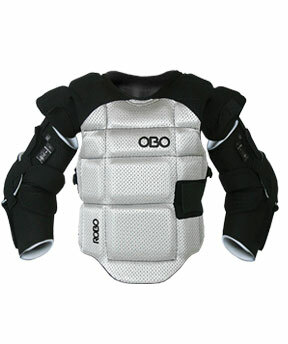 Obo special performance leg guards. Equipment for the modern goalie. Wider face gives you more surface area. Formerly Elite Basic. Affordable set for the goalie thats's just beginning. Available in orange. Medium only. achieves maximum control of rebound off face of legguard. quickly and naturally. The left leg guard is wider than the right to give maximum blocking power. 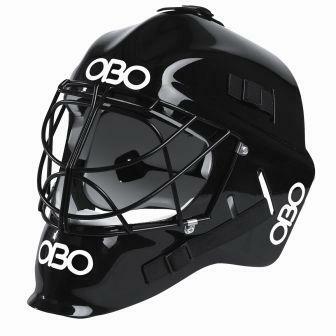 Lightweight and durable protection that is perfect for the intermediate level goalie. Available in black. Medium only. Lightweight, allowing for easy movement of arms. needs and movement of a field goalie. Detachable sleeves.